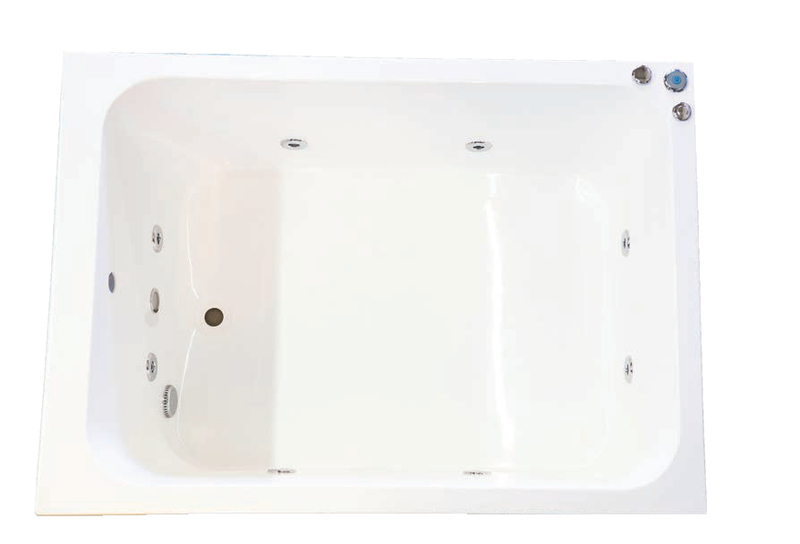 Our Japanese deep soaking tubs come with a generous overall depth of 600mm; perfect for plunging and making use of difficult bathroom spaces. shower area when you have less time. These new tubs and systems are manufactured in our UK factory and can be delivered in 2/3weeks fitted with the system specification of your choice. thermal qualities for extra heat retention. 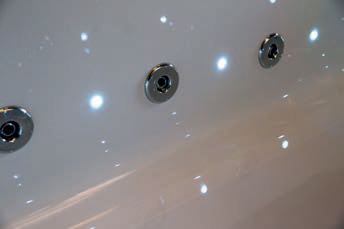 Image showing our WP1C6 6 Whirlpool jets and CLEDM 12 Micromood LED Lights upgrade. Image showing our System 500 controls giving varispeed controlling whirlpool turbo & lights.